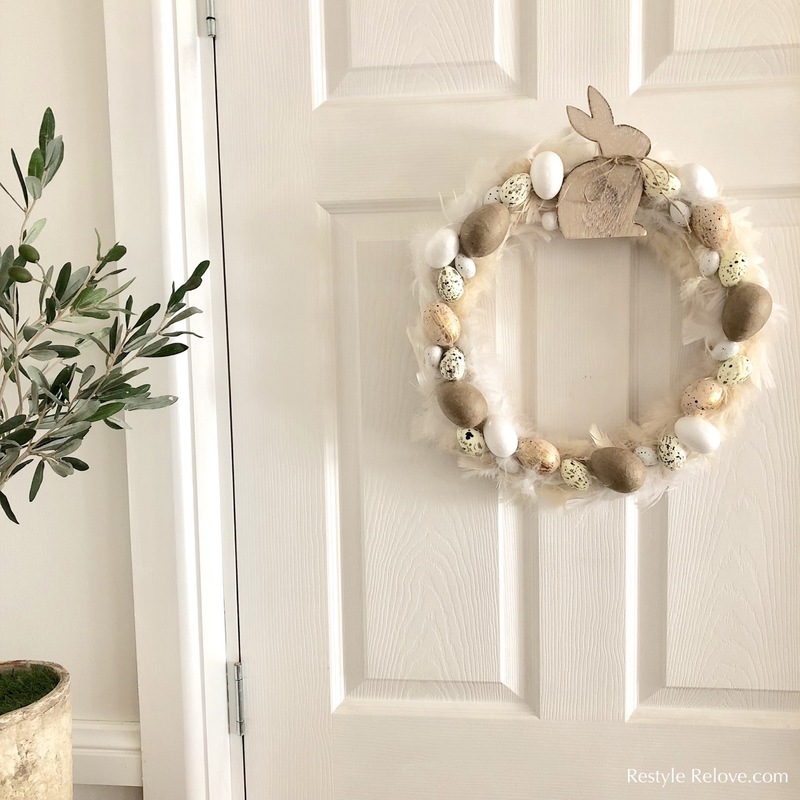 This little wreath has changed from Easter to Christmas and back to Easter again! And this time I'm sticking with Easter. 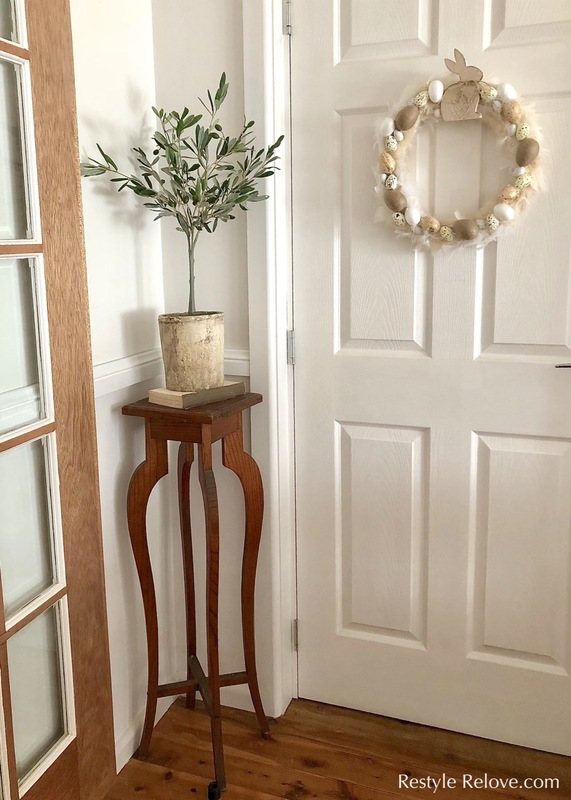 The base cane wreath and feathers were just waiting for a restyle. 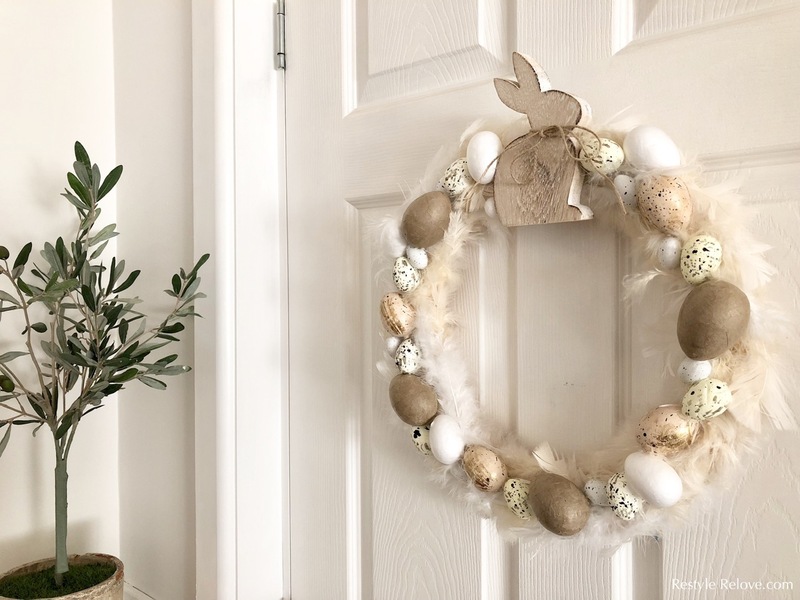 So, with the help of my trusty glue gun, I set to work attaching lots of lovely eggs. For the large brown eggs I paper mached them using brown wrapping paper and Modge Pod. I had the little speckled eggs, and I bought the gold eggs at Bed Bath n' Table for half price. My little wooden bunny was also half price at Bed Bath n Table. I just added the jute twine bow! And that concludes all my new Easter decor. 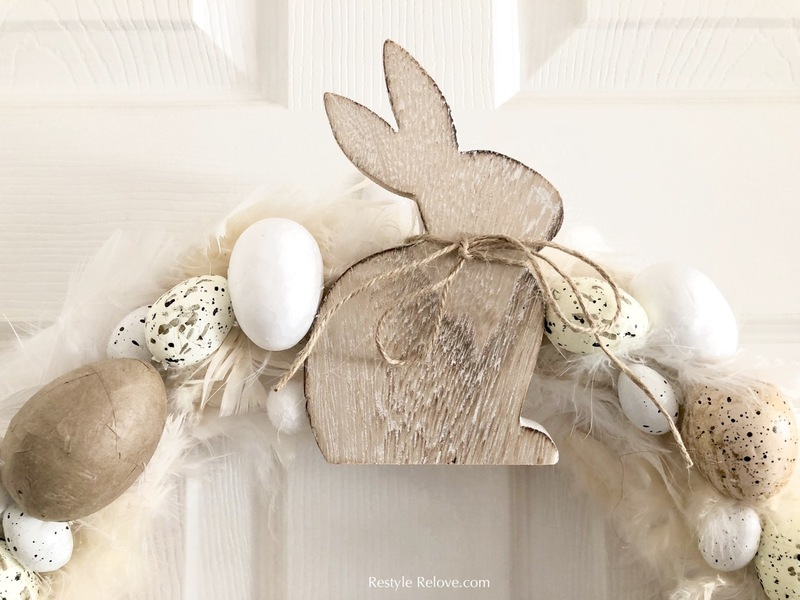 Tomorrow I'll be sharing my Easter Home Tour so please check back then! 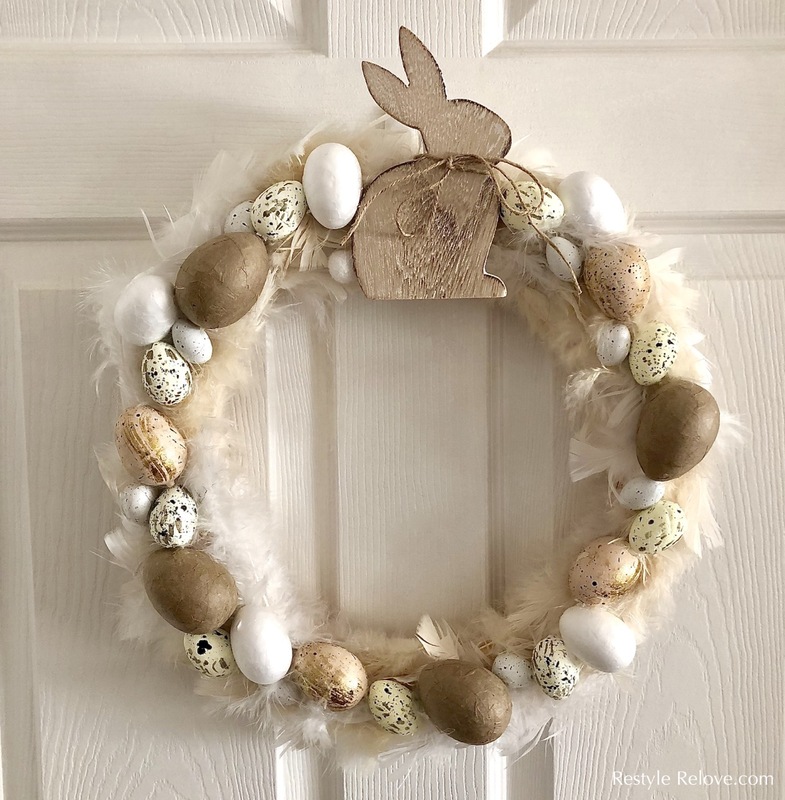 Lovely Easter wreath! 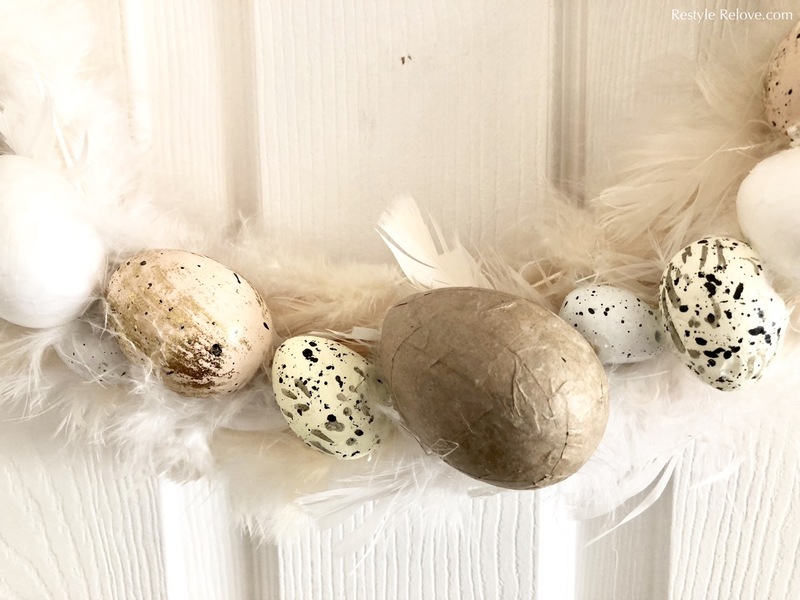 I love the colors of the eggs and the feathers! 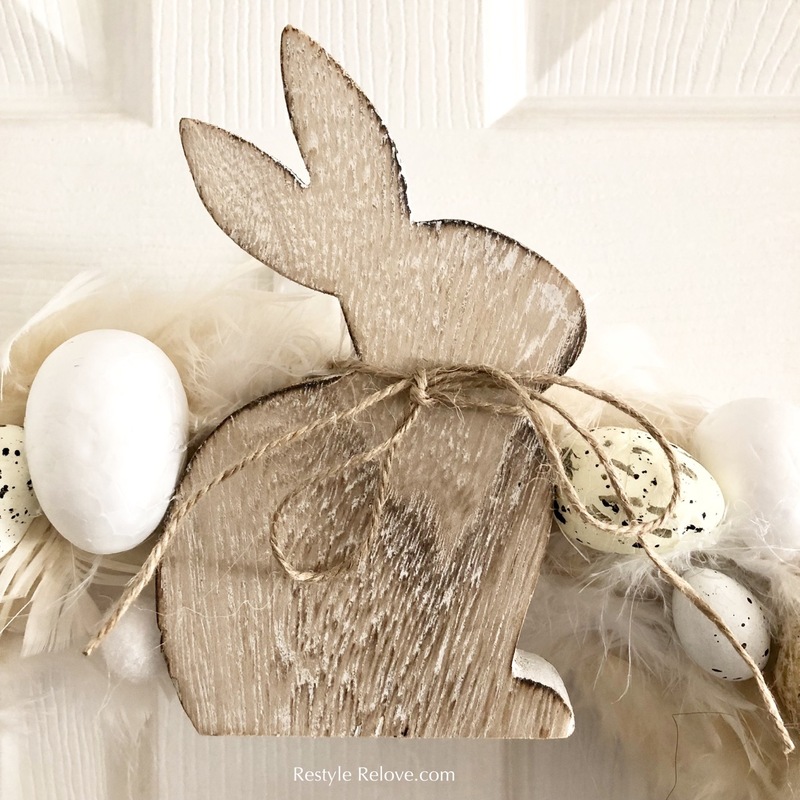 I'm pinning this to my Easter board!